South Korean car giant Kia keeps looking for a new corporate identity with the Habaniro Concept, a hatchback vehicle that it will bring along to the 2019 New York Auto Show opening to the media in a matter of days. The name of the car might be a reference to the Niro SUV family that currently comprises mild and plug-in hybrids as well as an all-electric car. There is no official information available on the model, but a few things are obvious. First, the hatchback rides pretty high for its vehicle class. Second, it has virtually nothing in common with other Kia models, whether production cars or design studies. It even lacks the company’s trademark “tiger nose” grille. 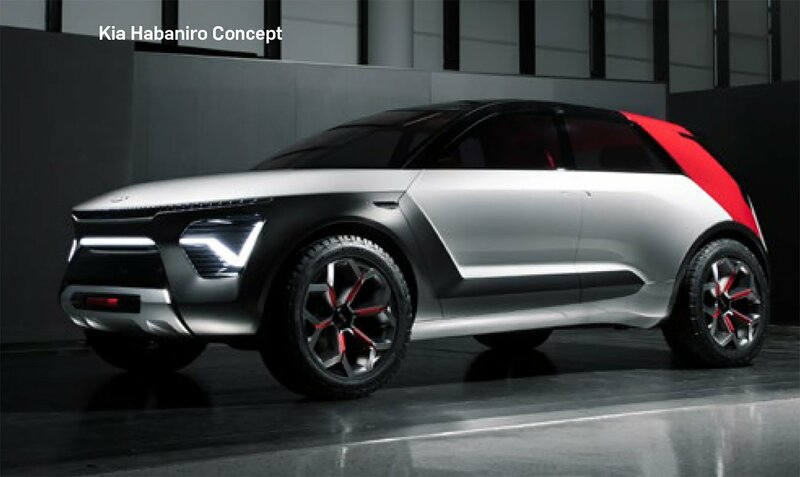 Based on the only image thus far revealed, the Kia Habaniro Concept has narrow DRLs spanning the entire width of its front, a protective bumper molding, a Z-shaped ornament, slide-out door handles, camera instead of side mirrors, and original C-pillars painted red.